Center for Development and Strategy | How should we compensate poor countries for ‘loss and damage’ from climate change? 09 May How should we compensate poor countries for ‘loss and damage’ from climate change? Representatives from dozens of countries will convene at the United Nations April 22 to sign the Paris Agreement on climate change, which commits signatories to lower greenhouse emissions in the years ahead. Written within the document is an article on “loss and damages,” the notion of providing aid to vulnerable countries that suffer damages from climate change. This could include loss of species, destruction of infrastructure, loss of land from rising seas or the displacement of people from climate-linked events, such as drought or violent weather events. Although the term “loss and damages” has been bandied about within U.N. climate negotiations since 1992, there has been virtually no public discussion on how to address these issues, which is crucial to confronting climate change in an effective and just manner. How does “loss and damages” relate to other forms of climate aid and what’s the most effective way to address it through the U.N.’s Framework Convention on Climate Change (UNFCCC)? And can rich and poor countries come to some sort of agreement on climate-related compensations beyond what has already been committed? However, by the middle of the decade of 2000-2010, it also became increasingly obvious that the halfhearted efforts by the world community to reduce emissions also required more of a focus on how to to adapt to inevitable, and serious, changes in the climate. During the last decade there was also increasing recognition that mitigation and adaptation programs are likely to prove woefully insufficient to avert serious adverse impacts in many of the world’s most climatically vulnerable countries. Indeed, the emissions reduction pledges made by the world community to date currently put us on track for temperature increases of between 2.7–3.7 degrees Celsius by 2100. This is far above the dangerous climatic thresholds of 1.5–2.0 C identified by scientists and policymakers. Moreover, as greenhouse gas emissions continue to rise, temperature increases of at least 2 C are virtually inevitable at this point, perhaps as early as 2035 or 2040. Many countries are also already experiencing serious manifestations of climate change with temperature increases of approximately 1 C above preindustrial levels. Desertification is one of the effects sought for compensation under ‘loss and damages’ provisions in U.N. climate treaties. Senegal in western Africa has seen severe declines in productivity and has been linked to the effects from climate change. The problem is that there are limits to how effectively countries, particularly poorer ones, can minimize the impacts from climate change, such as extreme weather events or rising sea levels. There are cost constraints, and some strategies designed to help families or populations cope in the short term can ultimately increase vulnerability. 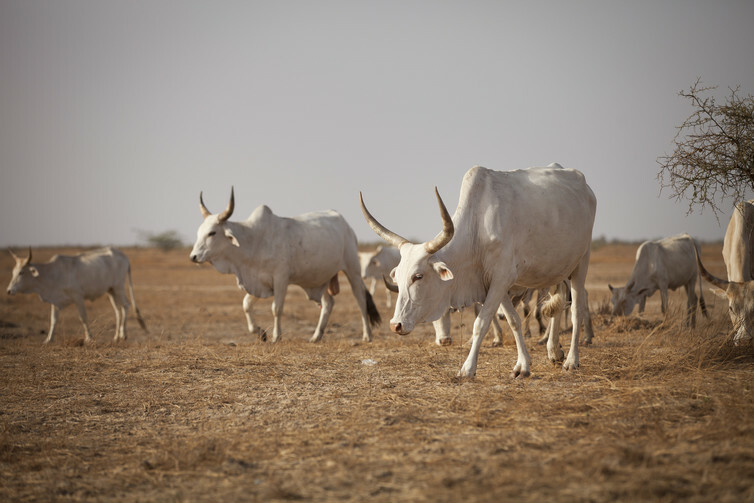 For example, after a drought, farmers will sell cattle to rebuild from damages, but this means that they then lose a source of income and have far less resilience to recover from future climate-related disasters. This sobering reality has led to growing support in the past decade for a focus on the concept of “loss and damage.” While the term is not defined under the U.N. Framework Convention, a generally recognized definition is impacts of climate change that will neither be mitigated, nor adapted to. “Loss” refers to irrecoverable negative impacts of climate change, such as loss of freshwater or culture or heritage, while “damage” describes climatic impacts that ecosystems and human institutions can recover from, such as damage to mangroves from storm surges or damage to coastal infrastructure from violent weather events. Loss and damage includes impacts from extreme events (such as heat waves, drought and flooding), as well as slow-onset events with the potentially greatest long-term impacts, including salinization, rising sea levels, desertification, and retreat of glaciers. One recent study projected the potential cost of loss and damage at an astounding US$275 trillion between 2000 and 2200. Moreover, this doesn’t include noneconomic losses, such as cultural disintegration through relocation or loss of indigenous knowledge. In 1992 The Alliance of Small Island States, a coalition of small island and low-lying coastal states, proposed an insurance pool to protect vulnerable countries from climate-related sea level rise during the negotiation of the UNFCCC. However, the proposal was ultimately rejected. In 2007, the parties to the UNFCCC agreed to consider means to address loss and damage. This culminated in the establishment of the Warsaw International Mechanism for Loss and Damage in 2014 and a committee tasked with enhancing knowledge and strengthening dialogue on the topic. As negotiations ensued for the Paris Agreement, many developing countries sought to include a loss and damage provision in the agreement, believing that this would increase the issue’s profile. However, this turned out to be one of the most hotly contested issues in the negotiations for the new agreement. Many developed countries sought to exclude loss and damage from the agreement. Some contended that it was best addressed under the rubric of adaptation and wealthy countries have already pledged $100 billion to a Green Climate Fund for adaption and mitigation of climate change. Many others expressed concerns that it would ultimately lead to claims for compensation or liability for climate change damages. U.S. Secretary of State John Kerry contended that if loss and damage was framed in a way that created a legal remedy, it could have killed the Paris Agreement because of congressional opposition to this concept. Ultimately, developing countries agreed to exclude references to liability and compensation from the proposed text for a loss and damage provision, paving the way for its inclusion in the Paris Agreement. The new loss and damage provision of the Paris Agreement (Article 8) incorporates the existing Warsaw International Mechanism for Loss and Damage, thus making it a legally binding portion of the agreement. It also sets forth a number of potential methods for the Parties to cooperate to address loss and damage, including establishment of early warning systems, risk assessment procedures, methods to address noneconomic losses and a task force to address displacement of populations as a consequence of climate change. The provision also provides for strengthening and enhancing the mechanism in the future. To date, the focus of the Warsaw Mechanism’s Executive Committee has been on enhancing knowledge about loss and damage. This is assuredly a critical priority given substantial information gaps, including the need for detailed localized risk assessments, assessment of risk management options and developing better methodologies for assessing noneconomic climatic impacts. Develop a framework for addressing people displaced by climate change. It has been projected that the total number of so-called “climate refugees” could swell to 200 million or more by 2050, or more than twenty times those currently protected by the U.N.’s High Commissioner for Refugees. Beyond the human tragedy of this plight, displacement of this magnitude could also lead to international conflict of an unprecedented scale, as well as economic instability. 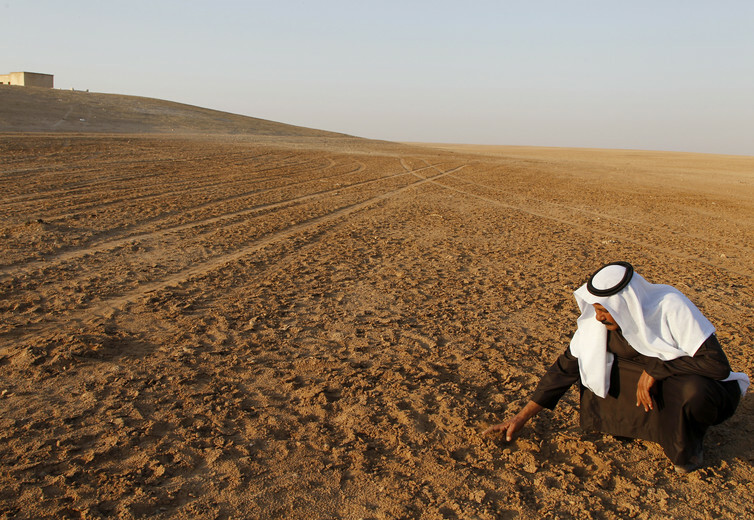 The drought in Syria forced over half a million people to leave the country for the cities, stirring tensions that eventually led to the country’s civil war. At Paris the G77 states – a caucus made up of developing countries – advocated for the establishment of a “climate change displacement coordination facility” in the Paris Agreement. The proposed facility would have been equipped to provide emergency relief for those displaced by climatic events, as well as the capability to organize migration and planned relocation, and to assist the displaced. Facilitate national acceptance of displaced persons. While some populations displaced by climate change may ultimately be able to return to their homes, most ultimately will not. The Warsaw International Mechanism Task Force should recommend standards for countries to accept displaced populations, perhaps based on an equitable formula based on such facts as historical levels of greenhouse gas emissions or GDP. The Warsaw International Mechanism Task Force should seek to develop recommendations to provide technical assistance to developing countries, and perhaps nongovernmental organizations, to help prevent displacement and to develop resettlement programs. Develop a proposal for international recognition of climate refugees. There are currently no international treaties, protocols or guidelines that provide protection for climate refugees. Formal recognition of interests of climate refugees would provide them with protections under international law, including a right to self-determination, as well as assistance to mobilize resources to protect refugee interests. Provide the funding to develop “micro-insurance” instruments for loss and damage. In exchange for small regular premium payments, micro-insurance policies have the potential to protect low-income people against specific threats, include climate-related perils such as crop losses and flood damage to infrastructure. As insured households and farms are more creditworthy, insurance can also promote investments in productive assets and higher-yield crops. The focus now should be on developing more pilot programs to test the effectiveness of such programs, and to conduct cost-benefit analyses. Develop a framework for officially taking stock on loss and damage. A provision to take stock on loss and damage every five years, already built into the Paris Agreement for other issues, should be established to ensure that we continue to take it seriously, and that our responses evolve with new knowledge. Consider revisiting the issue of liability and compensation in the future. While the parties to the Paris Agreement explicitly ruled out liability or compensation for climate change-related damages, this would not rule out amending the agreement at some point in the future. Some of the world’s most vulnerable countries are the least responsible for the greenhouse gas emissions that threaten their future. At some point, principles of justice and equity might necessitate the need for a system to compensate them for their losses. For that reason, U.N. negotiators should focus on ways to move beyond words to action that can address perhaps the most pressing aspect of climate change. The loss and damage impacts of climate change could ultimately dwarf all others.